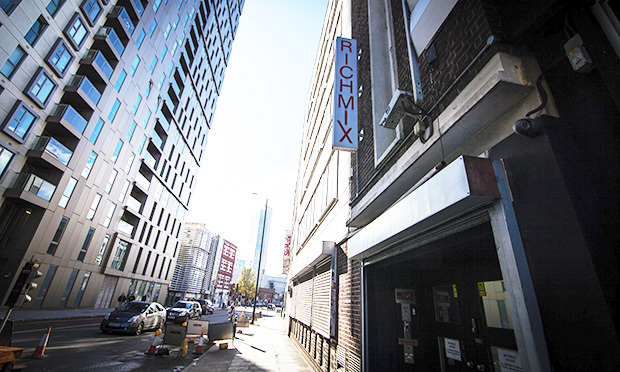 Rich Mix is facing an uncertain future should it be forced to repay £850,000 to Tower Hamlets Council in one lump sum. The Shoreditch arts centre has decided to go public with the details of a legal dispute with the council dating back to 2011. The council is demanding repayment of £850,000 given to the arts organisation in 2002 to enable the organisation to complete the refurbishment of its premises at 35-47 Bethnal Green Road. Rich Mix claims it was never settled whether this money was a one-off grant or a loan that would have to be paid back. But in 2011, the council served legal papers demanding immediate repayment of the entire sum. It is not clear why the council has demanded all the money at once, but Rich Mix says it does not have sufficient financial reserves to pay the money and that the centre would find it difficult to continue to operate if it did. She also claims that the council is withholding £1.6 million owed to Rich Mix as part of the planning agreement for a nearby development. Under this agreement, the developer, Telford Homes, paid over £2 million towards cultural development in the immediate area. The council’s Strategic Development Committee decided in 2010 that this money would go to Rich Mix. A formal contract was drawn up for the money to be transferred but contained no specific targets that Rich Mix would need to meet in order for the funds to be handed over. The contract was recently judged “unenforceable” by a court because of the lack of firm targets. Following the court judgement, Rich Mix has proposed a deal whereby the council would hand over the £1.6 million of development money and in return Rich Mix would pay the council the outstanding £850,000. Asked whether the council is using its power over funding to shut down Rich Mix, Earl declined to comment. She is, however, concerned that some councillors hold a negative view of its activities, including the “idea that it’s some kind of licentious drinking den”. A spokesperson for Tower Hamlets Council said: “The council considers that it would be inappropriate to comment on either ongoing litigation or associated settlement discussions. Irrespective of the litigation between the parties the council remains open to constructive discussions with Rich Mix over possible partnership funding.